I'm sure many of you have been bitten by the cold winter bug and have taken a run or too out in the snowy flurries. Keep warm and remember to keep hydrating! In winter you don't feel as thirsty since it is colder but it is just as easy to become dehydrated in the chilling temps as it is in the warmer weathers. I have been busy working on an exciting project and so this month's ezine article is being handed over to Curt Davies over at marathondriven.com You are in for a real treat! Over 30’s Training for a Marathon: Must Do! Training for a marathon does not necessarily mean spending your time at a gym lifting weights, on a treadmill or other typical training techniques for runners. In fact, it is highly recommended (particularly for those over 30) to diversify yourself with different training varieties. This includes aerobic running, cycling, and swimming, among many others you can try out. This type of training helps expose your body to different circumstances which overall increase the durability and fitness level, which is important when running marathons. Apparently Lance Armstrong attempted Austin, Texas' Beer Mile Race but had to pull out and earned himself a DNF. Read the story here. Doha, Qatar beat out Eugene, Oregon and Barcelona Spain for hosting the 2019 World Track Championships. I was rooting for Eugene to host the first USA World Track Championships but it looks like we will have to wait. Read the story here. How often do you have this conversation? Non-Runner: So how long was this marathon? The verdict is out. 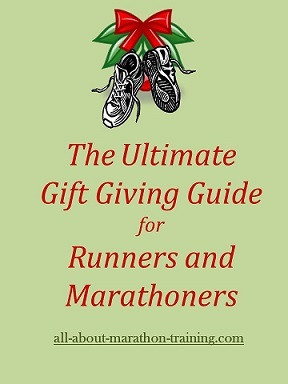 Here is the Ultimate Gift Guide for Runners ! It also helps you make you Christmas list. Work done. Merry Christmas. There is still time to train for a half marathon before 2014 is over! 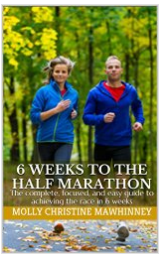 With 7 weeks out of the 2014 year left and our 6 Weeks to the Half Marathon Program you still have time to complete a half marathon. This sets you up to run a half for Christmas, New Years Eve or New Years Day! Take a look at the Table of Contents with additional notes on what's presented in each chapter of the eBook here. It is now also available in Kindle format !